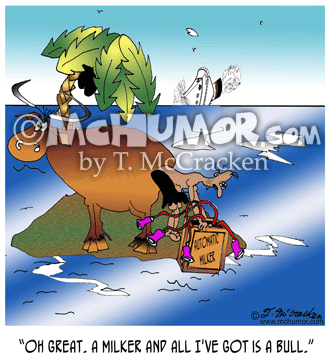 Dairy Cartoon 6930: Someone stranded on an island with some cattle seeing a milker wash up on shore says, "Oh great. 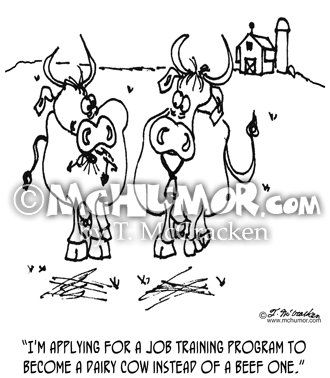 A milker and all I've got is a bull." 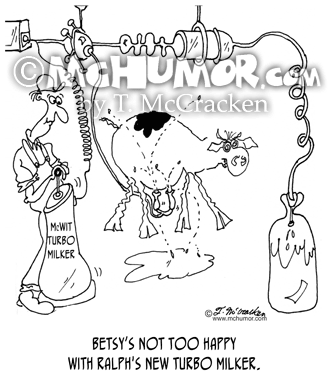 Dairy Cartoon 6931: "Betsy’s not too happy with Ralph's new turbo milker." 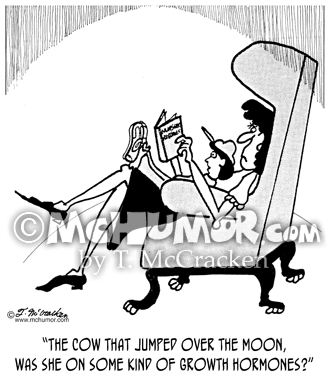 Milk from a cow is flying all over the barn. 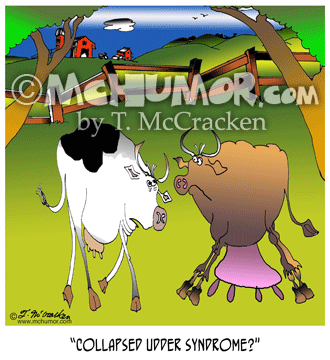 Cow Cartoon 9217: A cow asks another with her udder dragging on the ground, "Collapsed Udder Syndrome?" 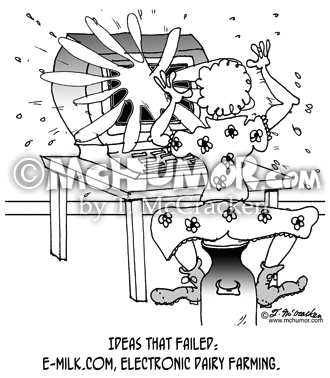 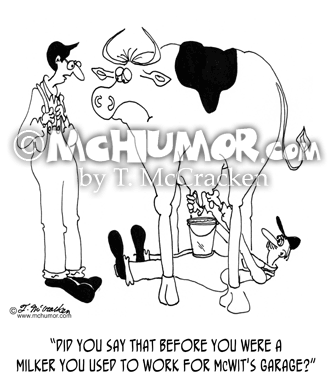 Milking Cartoon 5046: A farmer says to a man lying under cow, "Did you say that before you were a milker you used to work for McWit's Garage?" 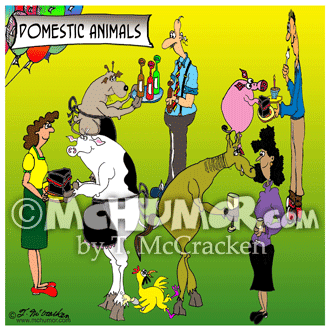 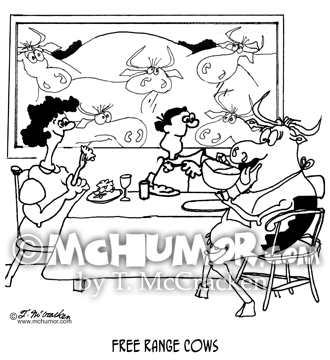 Cow Cartoon 8823: "Free Range Cows." 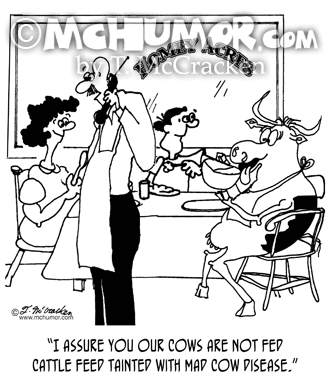 A cow eats at a dining room table.